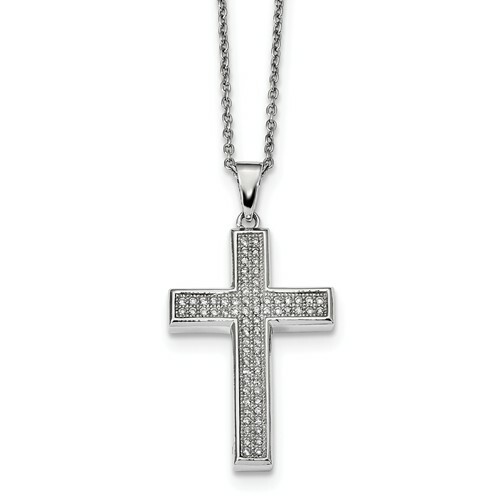 Polished sterling silver cross is set with high quality micro pave cubic zirconia. 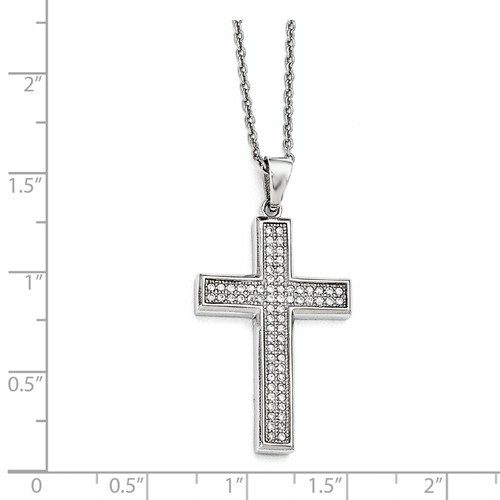 Cross dimensions: 18mm x 24mm. Chain length: 18 inches. Weight: 3.5 grams. i would be hesitant to buy again. chain broke the day i got it. I love my cross. Good quality.